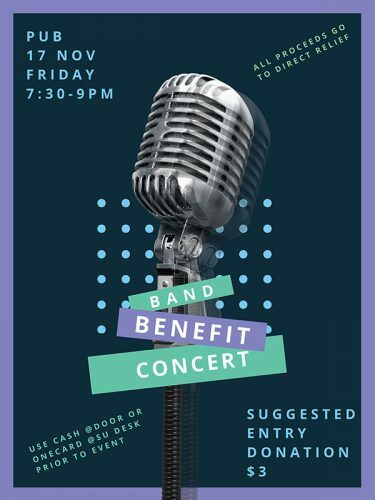 In an effort to continue raising money and awareness for those affected by the recent natural disasters, Bowdoin students will host a benefit concert this Friday featuring bands from the Bowdoin Music Collaborative. This event is open to the public! Genres being performed range from jazz to classic rock, with a special closing act by Galush (EDM/pop). There is a suggested entry donation of $?3? at the door. All proceeds will go to the charity Direct Relief.